The 39-year-old glamour model has been embroiled in a bitter war of words with Chris after he accused her of threatening his girlfriend Olivia Attwood following the emergence of a text exchange between them. While she is adamant she is in posession of 52 screenshots of messages between the pair, a fact her pal Rylan Clark back up on Monday, The Mirror report he spotted an image of the model and made the jibe in light of her woes with Kieran Hayler. Katie’s well-publicised marital woes have been ongoing, amid claims Kieran cheated on her with their nanny, years after his affair with two of her best friends. The publication report that during a trip to the New! magazine offices, Chris spotted an image of the model and made the bold statement regarding her looks. A representative for Chris declined to comment when approached by MailOnline. Katie’s representatives have been approached. Chris exposed a number of flirtatious texts from the former glamour model on social media, and while he denied responding, she later claimed to have ’51 screenshots’ of his equally provocative replies. After weeks of back and forth accusations embarking on a furious rant on Twitter by sharing a lengthy iPhone note to fans. 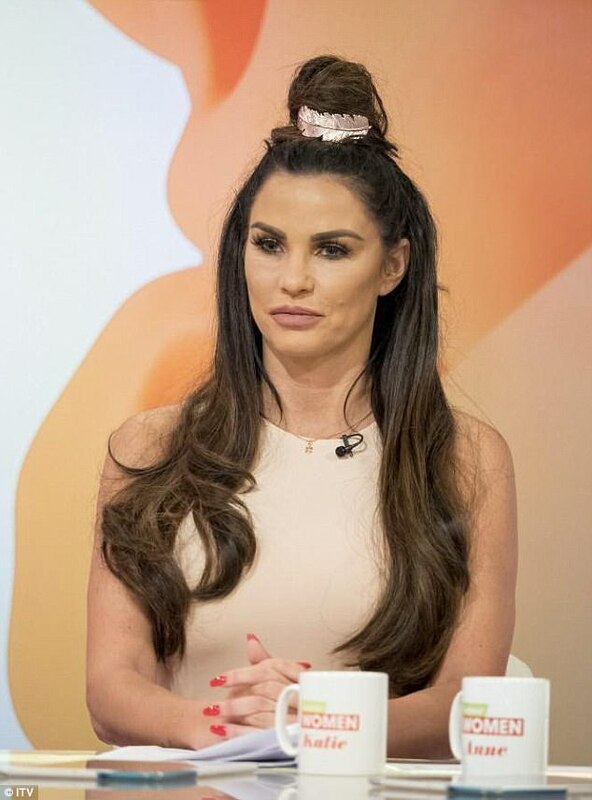 ‘Katie Price get your head out of you a**e and focus on your own life, your children and stop harassing myself and Olivia,’ he wrote, adding: ‘I outed you because that’s what I do when I get accused lying or being told I’m not telling the truth. ‘You’re making up lies, you’ve lived your life through for years. Focus on yourself. I couldn’t care about you in the slightest.